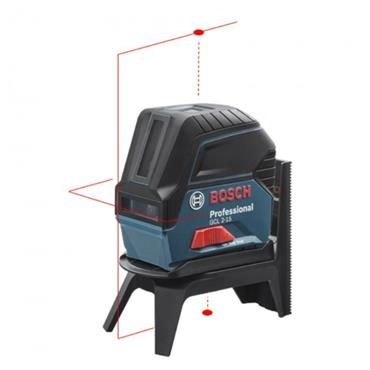 The Bosch GCL-15 is a Compact and versatile point laser level for all short-distance levelling applications (working range is 15m). The level is suited to horizontal and vertical self–levelling up to +/- 4 degrees, due to it having both horizontal and vertical lines with two centred plumb points. It boasts a pendulum lock for safe transport and a freely selectable line and point mode. Furthermore, its single–handed operation and intuitive user interface allow easy handling. The item does not come with a tripod.